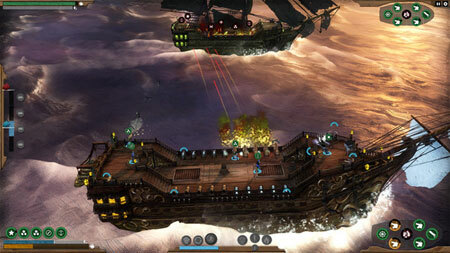 Abandon Ship is an awesome adventure and strategy game by Fireblade Software. You take command of a ship and her crew, exploring a diverse, procedurally generated world and engaging enemy vessels in tactical combat. The game focuses on Age of Sail ships in a Fantasy setting, framed in an Art Style inspired by classic Naval Oil Paintings. The game doesn’t end if your vessel is destroyed. You are the Captain, and as long as the Captain is alive, there is always hope. By escaping to a Lifeboat, or even being stranded, alone in the water, there is still a chance to survive and fight your way back to the top. If you get stuck in the game, check out the video walkthrough and gameplay for the game. This entry was posted in Android Games, iOS Games, Mobile Games, Walkthrough and tagged Abandon Ship Cheats, Abandon Ship Gameplay, Abandon Ship Guide, Abandon Ship Hints, Abandon Ship Review, Abandon Ship Solutions, Abandon Ship Strategy, Abandon Ship Tips, Abandon Ship Walkthrough by Marvin. Bookmark the permalink.